You must remember my cute robotic dancing teapot. It works great, but it has a little drawback: you need to open it to physically connect and disconnect the battery. 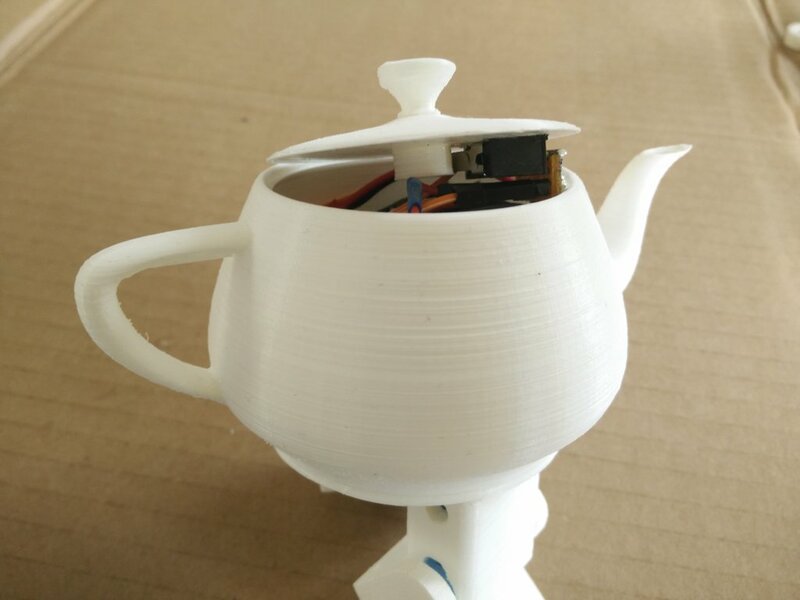 Therefore, let's fix that issue by integrating a switch directly in the teapot lid! 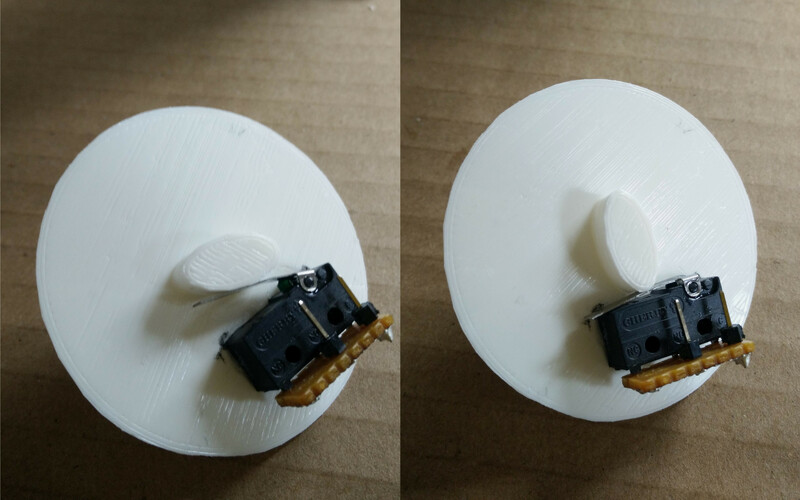 I designed three new plastic parts for the second version of the lid. The new lid features a hole instead of the handle, and the actual handle is to be glued to an axis going through the lid, with an elliptic lever at the bottom. The lever shall push a micro switch attached on the inside of the lid, just like you would press a button. 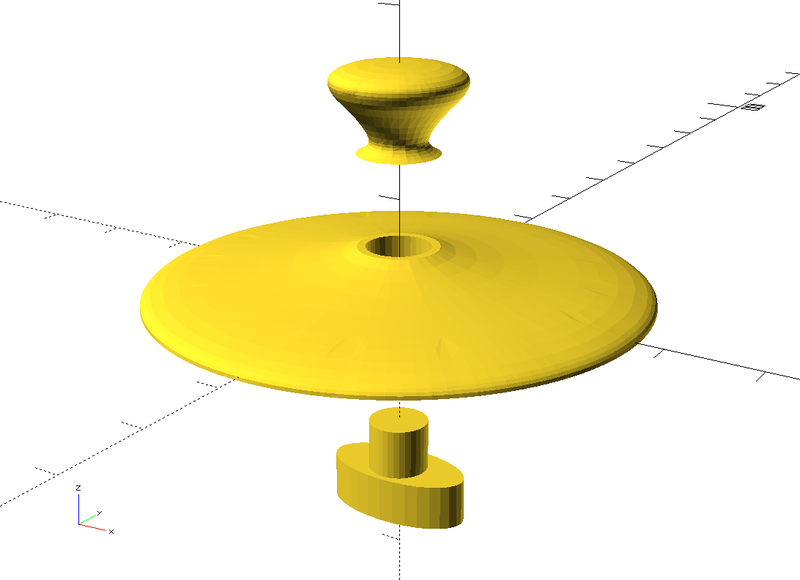 You can download the new SCAD source files (licensed under GPLv3) and the corresponding STL files on my GitHub repository. Apart from a micro switch, I'll also use prototype board, pins, and a Dupont wire. One the parts are printed, the handle is glued to the axis that goes through the lid. Then, the micro switch is soldered to a piece of prototype board. Two pins are then soldered to the board on the switch poles. Finally, the switch is glued to the bottom of the lid, so it can be operated by rotating the handle. The positive pole of the battery is rerouted through the switch, by connecting it to the switch instead of the regulator and by connecting the switch to the regulator, so the switch needs to be on for the robot to be powered. The new lid can now be closed. It easily clips to the body, but we have to pay attention that no cable jams the switch. 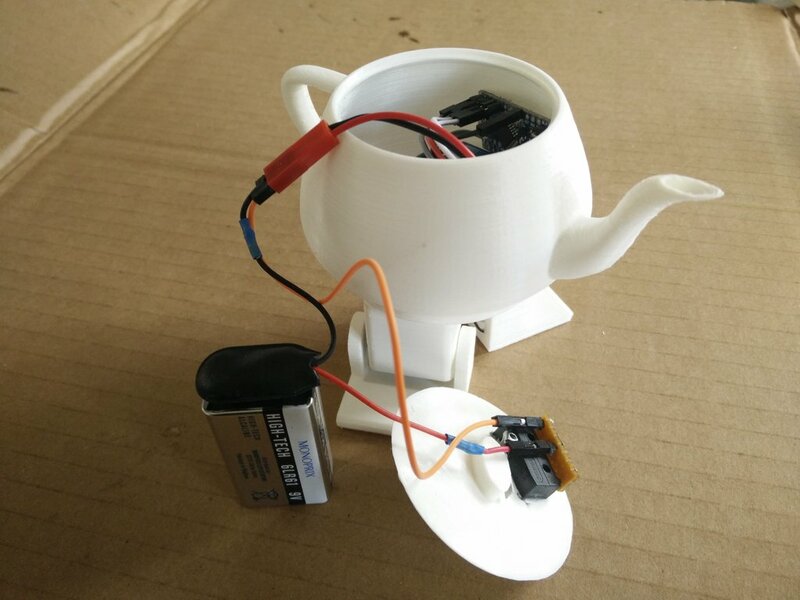 With this handy modification, the robotic teapot can now be operated just by rotating the handle!